It seems like everyone is on the blogging bandwagon these days with more and more using the internet to express their thoughts, educate and promote. The internet has become so accessible in the last few years that it is now much easier to set up your own web page in cyberspace and use it however you wish to reach hundreds, if not millions of people you would otherwise find difficult to get in touch with. 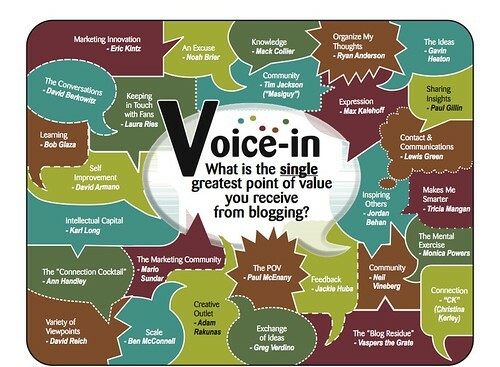 Companies use blogging to promote their business and their services, some people have a blog so family and friends can keep in touch with them, some people write about something they are very knowledgeable about to make money and some people simply enjoy sharing their lives and experiences with the outside world. For businesses especially, the advent of blogs has been the answer to their prayers when it comes to promoting their business for free and without using obvious advertising techniques. Business blogs can also be incredibly informative to customers and allows them to learn about the company and what they do before picking up the phone. It can also help websites with its traffic and hits by giving them more presence on the web. You don’t need to have much experience to start a blog. Many find the technicalities of blogging and web designing quite daunting but there are several free platforms available to make your debut in the blogging world much easier. However, before you even get to that stage you need to decide what you want to blog about. If you have a business you feel would benefit from a blog, this decision is already made for you in terms of subject matter however, many people like the idea of blogging as a hobby but have many things they feel they could talk about. Here is the important bit – only choose one. The most successful blogs hone in on one subject and become a specialist and authoritative source in that area. People will trust you and your blog for that particular subject, more so than if you touched on many different areas – no one knows everything about everything do they? Once you have decided what your subject is you need to decide which platform you are going to use. There are two main options here. Either you pay for your own domain and ‘rent’ it yearly or you use the domain of your blogging site such as blogspot.com. If you want to make this a viable business or need to make sure you can do well in internet searches you really need to rent your own. There are so many blogging.com and wordpress.com blogs out there you will be competing against the masses to get noticed by search engines. However, if your blog is merely a hobby and Google search ranking doesn’t interest you, go with the free hosted domain. It all depends on your needs and goals for the blog and whether promoting a business or making a profit is an important element to you. Once you have decided on how you are going to handle your web hosting and domain name you can go ahead and install your chosen web platform. There are so many to choose from, all with different features and their own pros and cons. The only real way to find out which is best for you is by research research research. Spend some time looking into the main blog hosting sites and don’t make your decision off the cuff as this will basically be your operating system for the duration of your blog. Make sure you also check how to install your blog hosting site. Most now do it on a ‘1 click’ basis so you do nothing but click a single button to install everything you need. Anything else is more complicated than it needs to be. Once your blog is up and running and you have chosen a theme there are several important aspects to blogging you need to remember. The first is to be consistent and make sure you blog at the same time every weak. You don’t need to blog every day if you don’t want to or don’t have enough time, however, do decide when you will blog and stick to it as your readers will come to expect posts at certain times. Don’t veer off your chosen subject, the reason your readers will tune into your blog is because they are interested in your chosen topic – go off on a tangent and they will lose interest. Lastly, make sure your blog is free of spelling and grammatical errors as your blog will immediately lose credibility if it is full of spelling mistakes and ill written information. It can take approximately a year to build up a loyal reader base so don’t panic if things are slow moving to start with. As long as you follow this information and keep up your posts, you should have a successful blog in no time!